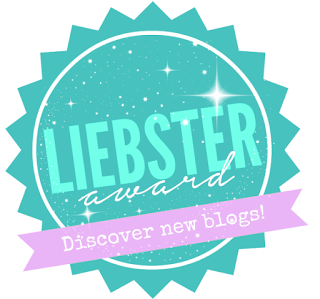 Welcome back to my blog friends! Today I am here to share about a fantastic resource you can utilize in your Spanish Immersion/Dual Language classroom. 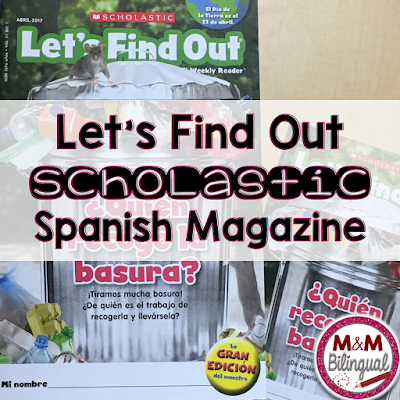 I was recently contacted by Scholastic to review their Let’s Find Out Bilingual Magazine. Imagine my excitement!!! I have been trying these out with my kiddos for about three weeks and wanted to share with you this wonderful, highly engaging magazine and some of its components. First, I received magazines for each of the students in my classroom. I have been utilizing these in small group. I love the crisp photographs and easy to read format that my students can easily follow. There is an individual magazine for students and a BIG teacher edition. I love posting this BIG version on my wall to engage interest even before reading. 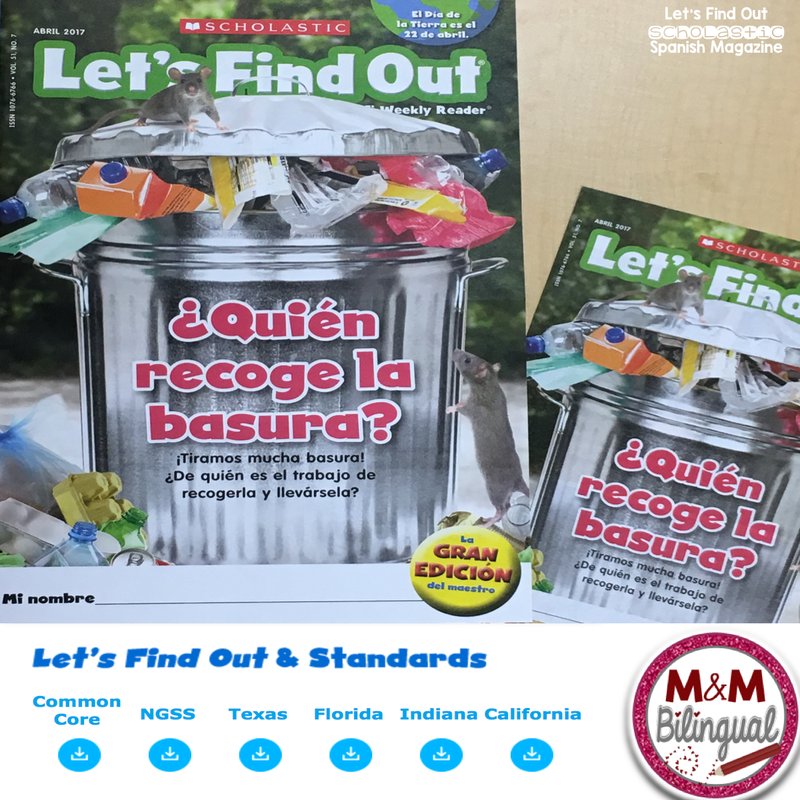 The magazines are great for Pre-K – 1st grade students. 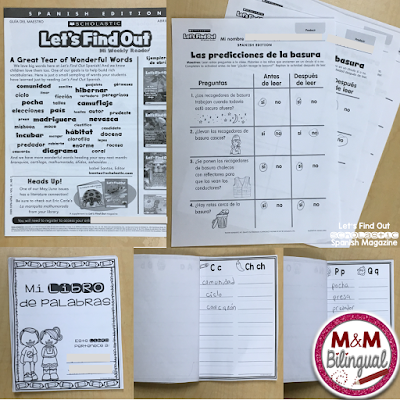 You can even use them like me – with my struggling 2nd graders. The content aligns with the standards as shown below. 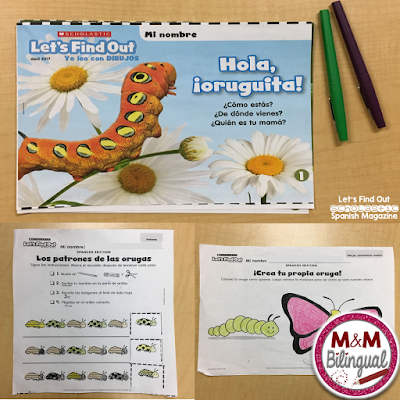 Let’s Find Out in Spanish is simple and effective to implement in the classroom. 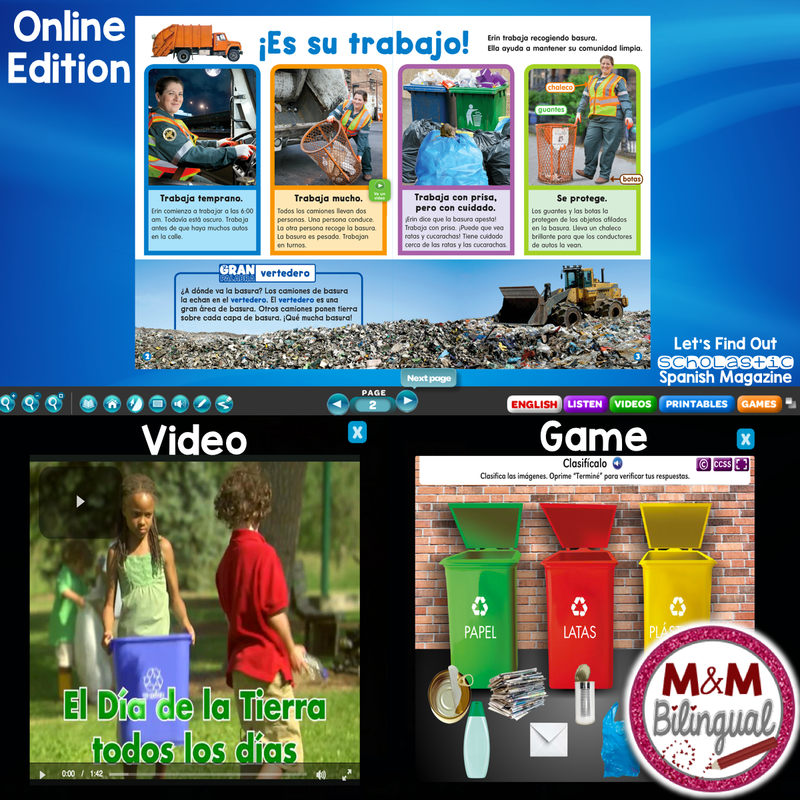 It has an online component which not only reads the magazine out loud to the students, it also includes a building background video, learning games, and even links to related printables. Students are making connections and recalling content with these high interest activities. Building language and vocabulary is always of high importance in the classroom. Just look below at all the vocabulary students read and studied throughout this past year’s issues! 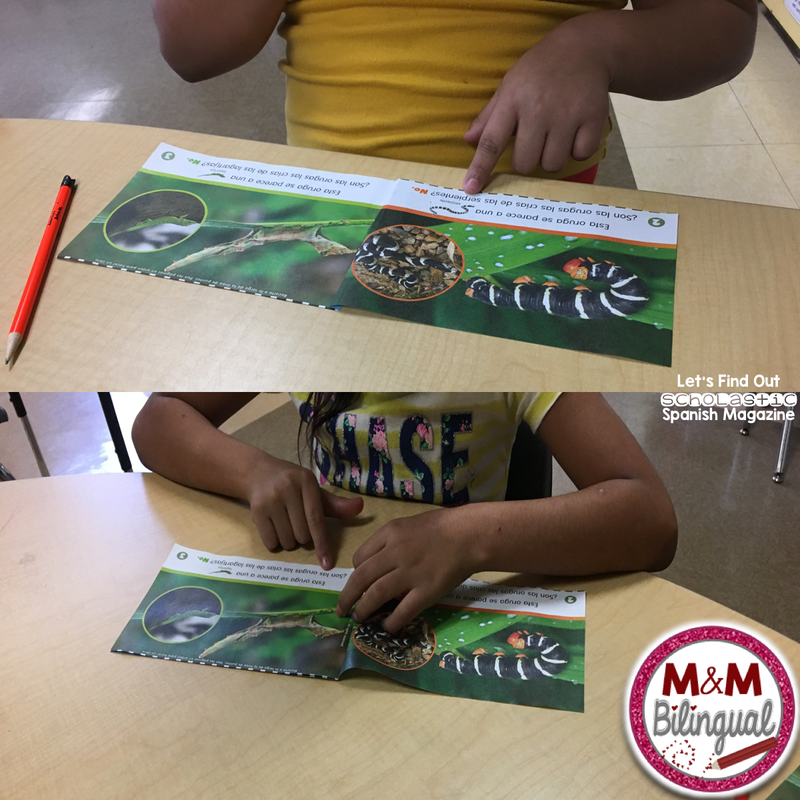 My students immediately started adding words they were learning to their Libro de Palabras. 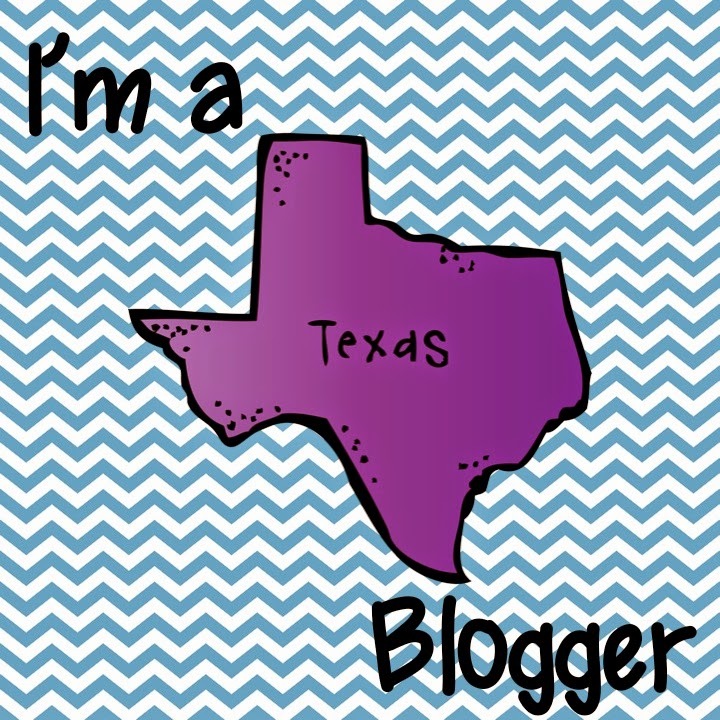 Last, but certainly not least, the printables are SO helpful and easy to access. There’s prediction charts, observation recording pages, following directions, patterns to cut/paste, and so much more. The reading is engaging and it is followed by an activity that is just as engaging for the students. So now, time for a GIVEAWAY! Scholastic has allowed me to choose 1 of my blog readers to win a free class set of the May/June issue (limit of 30 magazines). If chosen, you must provide your full name and address to receive these. All you have to do to enter is leave a comment with your name and how you would utilize these magazines. Winner will be chosen on May 5, 2017 and contacted by May 6, 2017. Hope you’ve enjoyed this post and found helpful ideas for your classroom. Until next time! I love Scholastic and have purchased them in the past. My kids loved them. I would use them for building language and vocabulary. They would be perfect in small groups. The online component would be perfect. My students love to read on their iPads and having an additional resource is always a plus. They would be super excited with the games and videos. My students love reading non fiction text, but I don't have many books to let them borrow. They could take them home in their book bags to read at home. Overall having these Scholastic magazines would be amazing! Traci, the random generator picked your comment as the winner! I will be emailing you shortly. Thank you for entering the giveaway and congratulations! My name is Lizbeth Gonzalez. I would use these magazines for my small groups especially my struggling students. I would also incorporate it in my text feature lessons. Scholastic has great photographs, so it will be great for teaching text features. 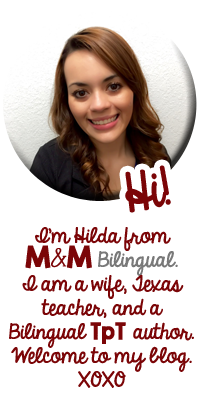 My name is Melissa Romney and I teach 1st grade in a Spanish Immersion program. I would utilize these whole group and small group as well. I would have my whole class read them 1st and then dig deeper into the text during small group instruction. Thank you for providing this giveaway. Hello! What a great opportunity. I would love to use these to build vocabulary skills. I love the idea to use them as an extra social studies resource since we have very limited supplies. Thank you! This is a great opportunity! I recently had a Donors Choose project for Scholastic Magazines for next school year. However, this set of magazines in Spanish would be perfect for the home connection. 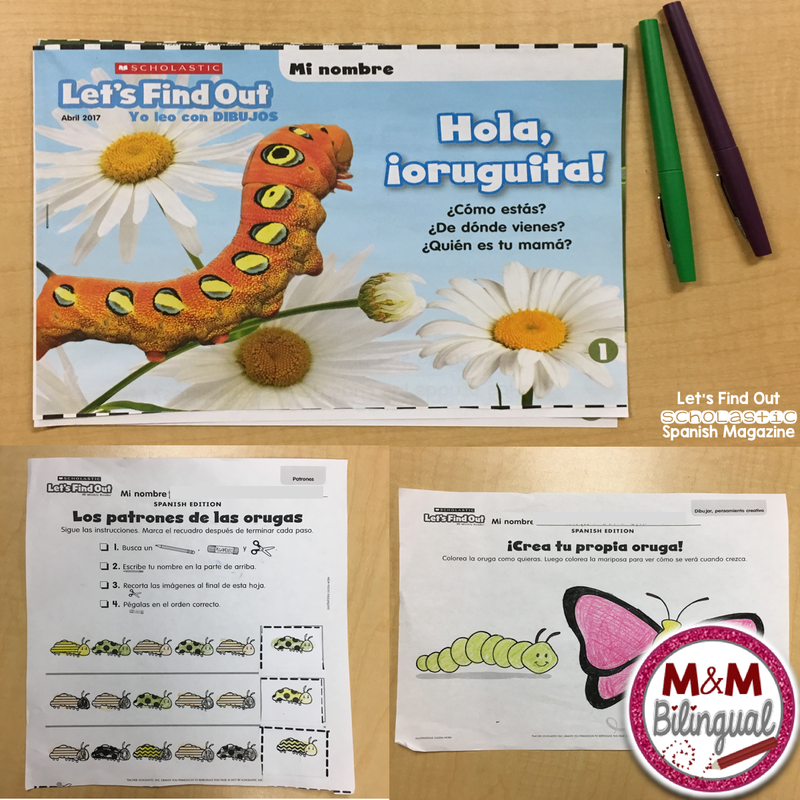 Since a majority of my classroom parents speak Spanish, this would be a great way for my students and parents to read together at home. The turn in piece would be a completed printable completed at home. Hello. I am excited because although I teach high school English, I could use these to enhance the ELD of my students, who range from limited L1 proficiency/no L2 proficiency to Intermediate Fluency in L2. 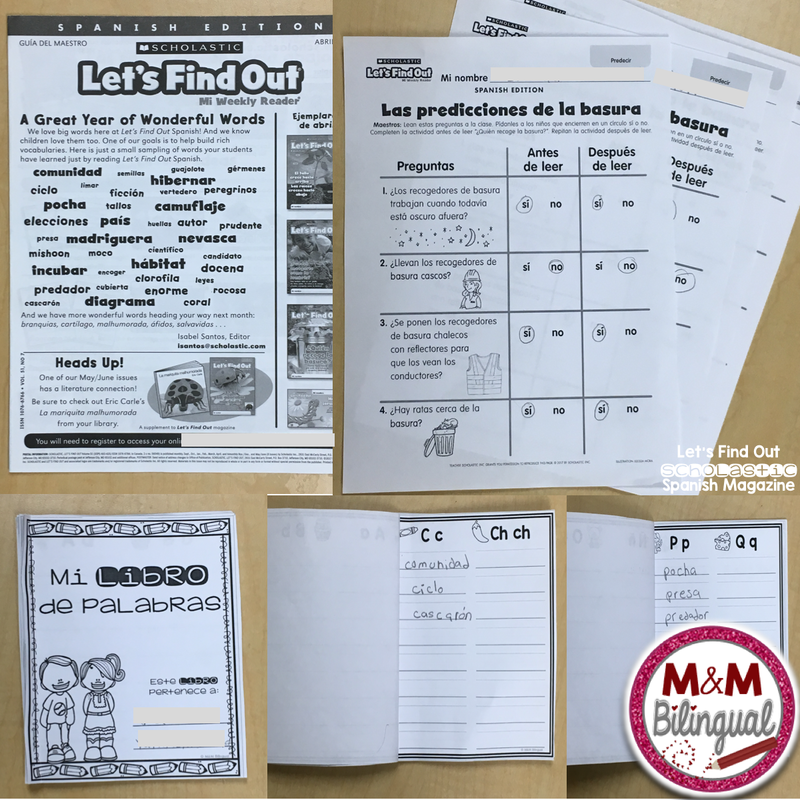 I could use them to differentiate assignments, teach vocabulary and text features, and also improve writing as students could synthesize and compare ideas from the articles. I could also use the online components to reinforce what I taught considering that I have a SMART board. 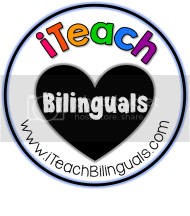 Great idea regardless of whether I win but since I will be brand new to teaching HS ELLs I would be eager to get anything that will assist me. I like to get families involved in their child's education, so I would allow these magazines to be used as a source on a family project. The parents and students would be assigned a topic that is includec in the magazine and would create a model, flipbook, poster, etc. for the student to present to the class. This activity would be one to remember for years!! Hola mi nombre es Adriana Cardenas y me encantas las revistas de Scholastic! Enseño en una clase bilingüe donde seguimos el modelo de Gomez & Gomez. (50/50) Me encantaria usar esta revista ahora que estare enseñando kinder/primero en nuestros centros y también en grupo pequeño! Cualquier recurso en Español de este calibre es fabuloso tenerlo en el salon!